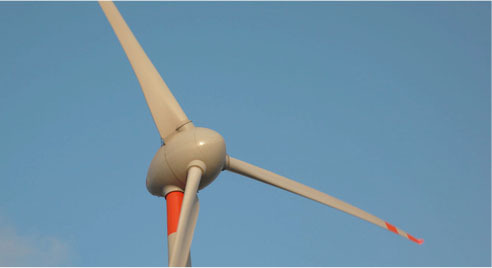 Wind World (India) Power Development Private Limited (WWIPDPL) is a 100% subsidiary of WWIL. WWIPDPL was strategically set up to manage the latter's wind power assets. Either directly, or through various Special Purpose Vehicles (SPV's) promoted by WWIL. This is a crucial task, considering WWIL's corporate commitment to install and operate a portfolio of 1,000 wind energy converters, over the next three years. Reviewing the functioning of WWIL's wind energy assets, owned by Wind World (India) Ltd. Managing day-to-day operations of various SPV's in which these assets are housed. WWIPDPL is staffed with experienced personnel, who have for many years been managing the diverse portfolio of Wind World (India) Ltd's wind power generating assets across seven states, with high levels of prudence and excellence. Wind World Financial Consultancy Private Limited (WWFCPL) a 100% subsidiary of Wind World (India) Ltd. was set up to organize project finance through innovative financial engineering; to meet Wind World (India) Ltd.'s long term funding requirement for setting up of wind energy projects..
WWFCPL consistently endeavors to provide financial solutions for Wind World (India) Ltd's own Independent Power Projects (IPP), as well as for the EPC (engineering-procurement-construction) customers of Wind World (India) Ltd.
With offices in Mumbai and New Delhi, WWFCPL has successfully arranged project finance for all its projects, to the tune of Rs.2,000 crores over the past few years. WWFCPL has been successful in arranging project financing for large size wind energy Independent Power Producing (IPP) projects on a project recourse basis. This is done in line with financing of similar projects internationally with tenures that are comfortably managed by such projects, often at extremely optimum interest cost. WWFCPL has been successful in assisting Foreign Direct Investment in this sector, by advising foreign companies to set up wind energy projects in India through equity infusion from abroad. The balance is being arranged as Rupee debt, at accepted levels of tenure and interest cost, on a project recourse basis. These are done with third parties supplying power to them under the Open Access Regime. One such WWIL project has a long term power purchase agreement signed with private parties, wherein Wind World (India) Ltd. has established the power project and is supplying power to private parties, having a high credit rating. WWFCPL has successfully managed to arrange finance against security of the receivables due from the sale of power, to the private parties. This is done for customers who require funds and are investing in wind based power projects, with a view to avail tax benefits and sometimes save on power cost. Projects set up for power sold to the state DISCOM for captive consumption and power sold through the Open Access routes, are eligible for financial assistance; subject to detailed due diligence of the project specifics. Generally the debt: equity ratio of customer should be 70:30 or less. This is however subject to the due diligence process. The customer should not have defaulted with any bank/financial institution.